Colin Hosking, 34, from Cambourne, died while on his way to a tractor rally in West Cornwall. Mr Hosking, who worked for surfacing company D A Giles, was killed after becoming trapped under his tractor following a crash on an unclassified road. It is understood his vintage blue tractor overturned after being involved with a collision with a blue Volkswagen Transporter. He was pronounced dead at the scene on New Year’s Day. Family and friends left tributes on Facebook, describing their “total shock” and confirming how loved and respected he was. “Your star will always shine brightest Colin”, wrote one. Another added: “I can’t believe you have gone. Far too early and leaving a huge gap in so many lives. You and your cheeky ways will be sorely missed. St Buryan Agricultural Preservation Limited posted: "Commiserations to Colin Hosking’s family on the sad news on New Year’s Day. RIP Colin." 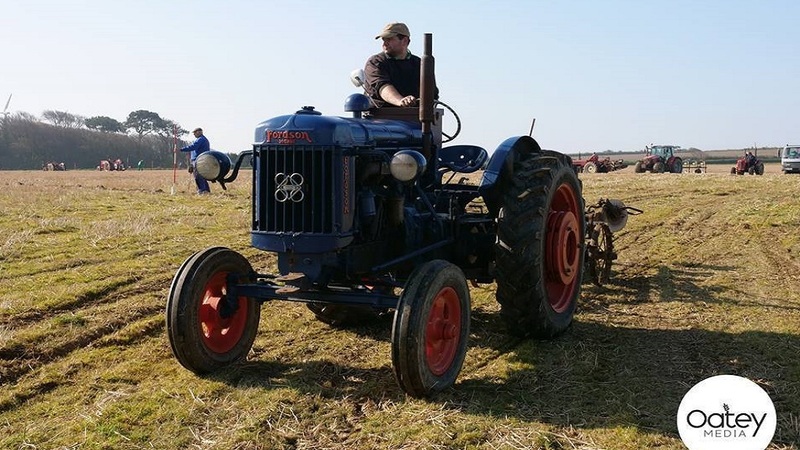 A spokesperson for Cornwall Ploughing Federation added: "It is with great sadness that we learnt yesterday about the loss of one of our fellow ploughing members. 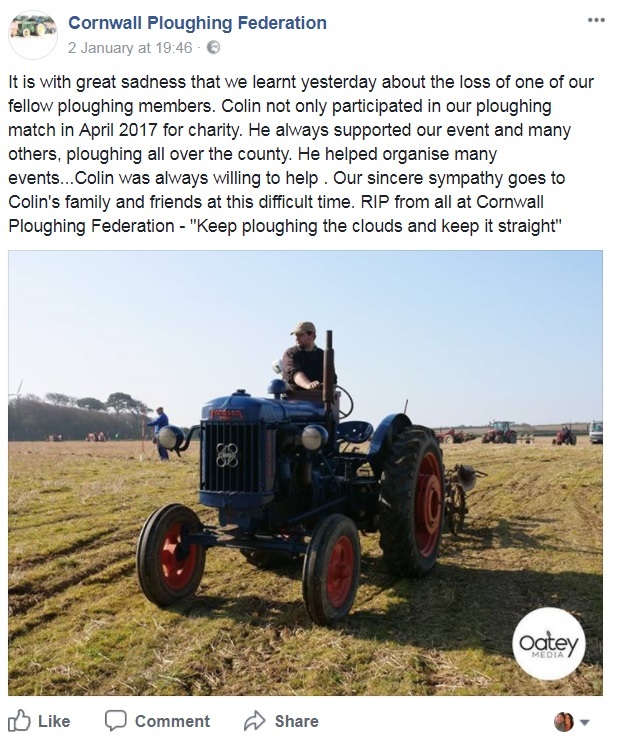 "Colin not only participated in our ploughing match in April 2017 for charity. He always supported our event and many others, ploughing all over the county. "He helped organise many events. Colin was always willing to help. 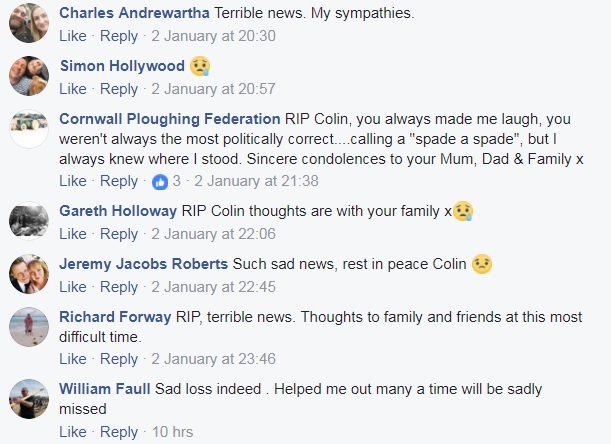 Our sincere sympathy goes to Colin’s family and friends at this difficult time. "RIP from all at Cornwall Ploughing Federation - ’Keep ploughing the clouds and keep it straight’."